Please rotate your device or widen your browser to view this page correctly. 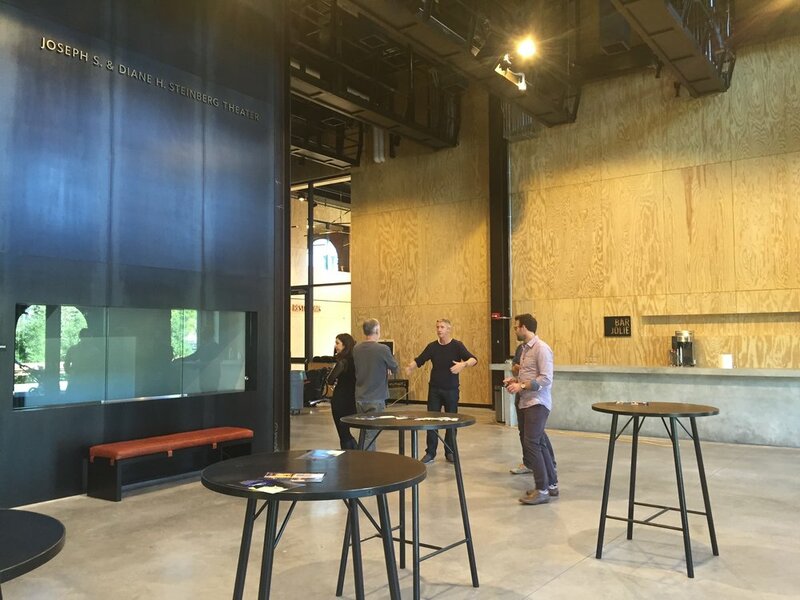 “We see TheatreSquared as its own center, a destination and a place of origin. The work created here will draw audiences from near and far, and be our region’s export to the world’s theatre centers. 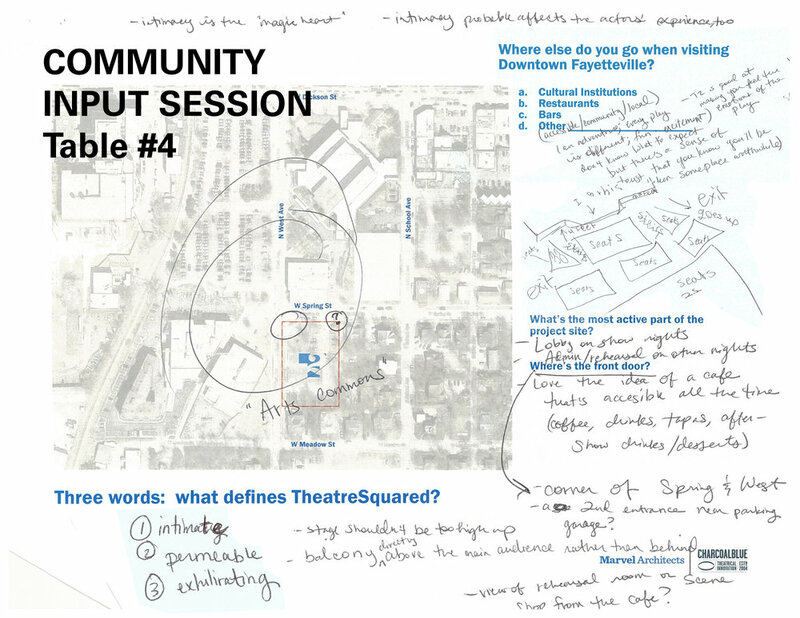 We see a gathering place—a theatre commons—that is welcoming and fascinating, alive with activity. A building that draws the eye and evokes curiosity. A place that invites, hints at the unusual, suggests, something significant will happen here. We see glimpses of creativity through every open door—and in the beating heart of the building are brilliant performances, intimate and unmediated, celebrating the joys and struggles of what it means to be human. Here on this corner —here in our community—we see a permanent home for remarkable theatre, done well and with passion. 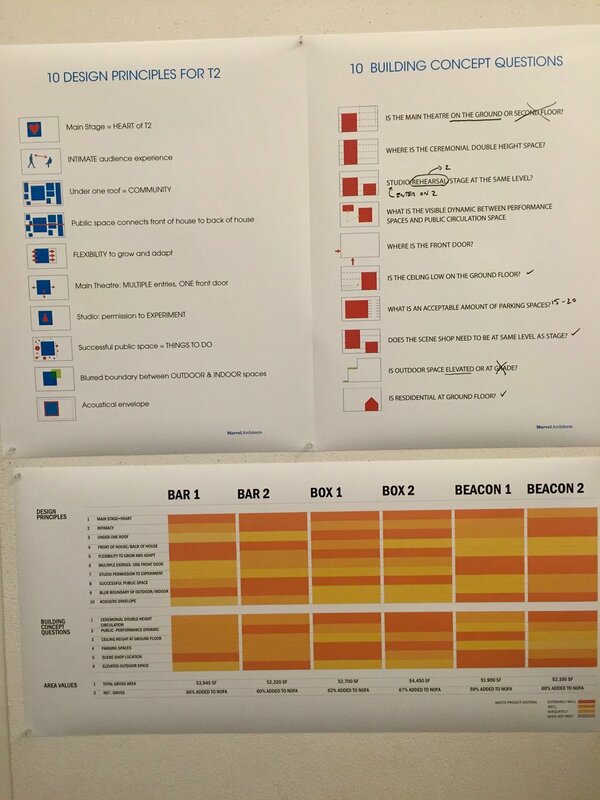 With support from the Walton Family Foundation's Design Excellence program, TheatreSquared announced the selection of a world-class design team in November 2015. London-based theatre planners Charcoalblue — who served as theatre planners for the Royal Shakespeare Company’s new Courtyard Theatre, the Young Vic, two new venues at London’s National Theatre, and the 2014 RIBA Sterling Award-winning Everyman Theatre, among many others — were selected to lead the design team. New York-based Marvel Architects was selected from over 70 international applicants to design the theatre building. Marvel’s portfolio includes a new Brooklyn Public Library, the national competition-winning entry for the new Constitution Gardens on the National Mall, a master plan for Playwrights Horizons, and, in collaboration with Charcoalblue, the beautiful new home for the storied New York theatre company, St. Ann’s Warehouse (above). To build a common design language, TheatreSquared staff traveled with the design team to more than 20 theatres in the U.S. and the U.K. At every stop, architect Jonathan Marvel made sketches and notes as references for the T2 concept design. On June 7, 2016, the Fayetteville City Council voted unanimously to approve a 100-year lease on a 0.8 acre site at the corner of West Ave. and Spring St. in downtown Fayetteville — directly across from the theatre's current venue in a converted warehouse at Walton Arts Center's Nadine Baum Studios. 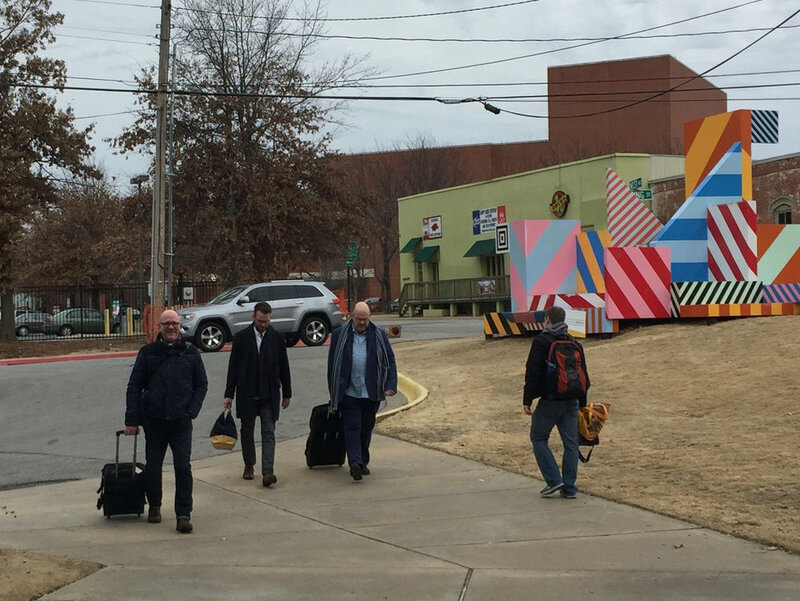 The site is steps from dozens of restaurants and bars, blocks from the University of Arkansas campus, and across the street from a new 250-space garage. The theatre will directly connect to the Razorback Greenway, the regional bike trail linking Fayetteville, Springdale, Rogers, Bentonville, and every stop in between. 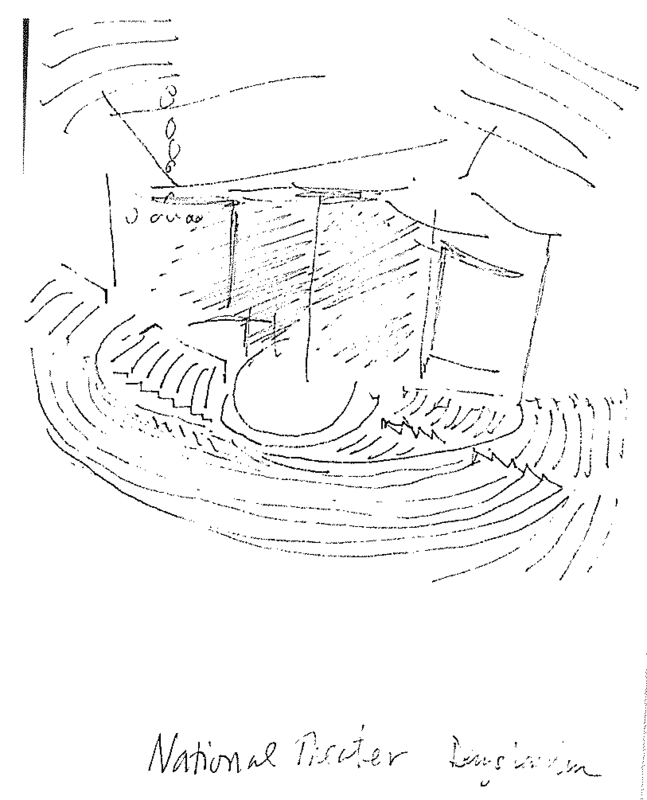 In dozens of meetings in Northwest Arkansas, New York, and London, a concept for the building began to take shape. 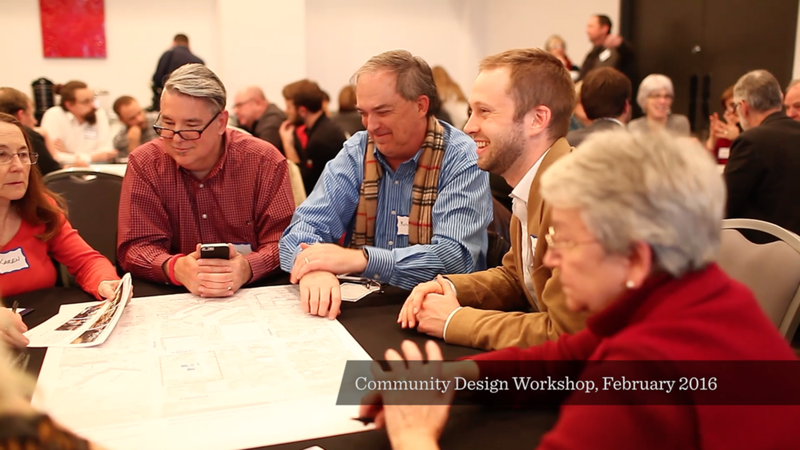 Hundreds of community members from throughout Northwest Arkansas took part in public input sessions to weigh in. 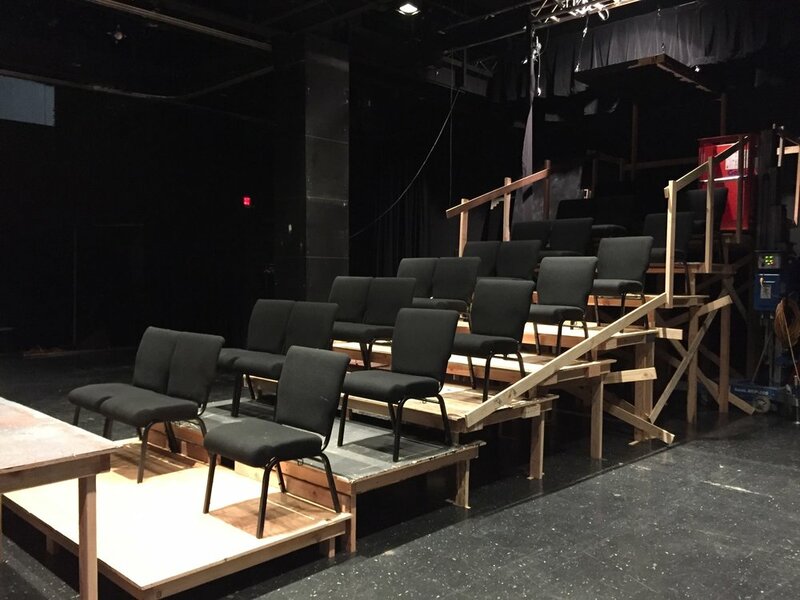 TheatreSquared's scene shop built a scale model of the new seating risers to evaluate sightlines firsthand.